Breitling rarely introduces timepieces with clear casebacks, so this Navitimer is very special, with its transparent caseback. But that’s not all. This is also the second watch that is powered by Breitling’s 100% in-house movement (a movement which you can now enjoy more often because the back is clear.) If you had not heard about the introduction of the new Caliber 01 movement (Breitling’s first in-house movement) last year, then you can read about it here. The Caliber 01 was originally launched in the Chronomat B01. The movement is very nice and includes a premium column wheel and vertical clutch that makes starting and stopping of the chronograph very smooth, as opposed to a standard cam and lever setup. A total of 47 jewels are used to reduce friction throughout the movement. And the power reserve lasts an impressive 70 hours when fully wound. Plus, it is a COSC certified chronometer, like every new Breitling movement. Breitling has become a full-fledged manufacture, and as they increase their production of in-house movements, they will eventually become a very high-volume manufacture. However, Breitling still uses ETA movements in most of their timepieces, which will, of course, change as their production facility increases its productivity of in-house manufacture movements. 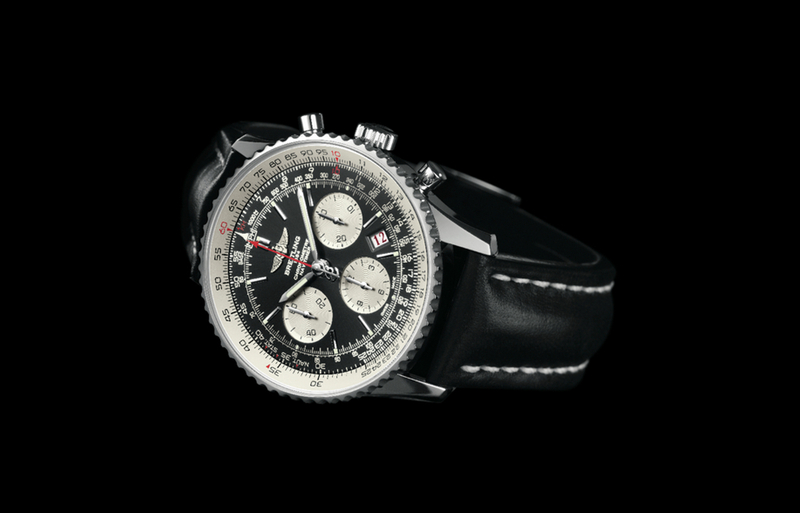 The best part about this new Navitimer, aside from what’s powering it, is its price. For about the same price as a Rolex Submariner (that features a basic three hand movement and date), or a 2009 Breitling Navitimer (with a modified cam and lever ETA chronograph) you get a manufacture quality premium column-wheel chronograph, with a huge 70-hour power reserve. This will likely become a great collector’s item and a bestseller, as it is the first Navitimer to receive the Caliber 01 movement. And as I mentioned above, the price is right. Plus it has a clear caseback, something Breitling fans, including myself, have been wanting for a while. The new Navitimer Caliber 01 limited edition is available in steel, 2000 pieces, and in red gold, 200 pieces. Retail is $7,475/$17,705 (Steel/Rose Gold).